Jermuk is a resort town in the Vayots Dzor province, 173 km from Yerevan. 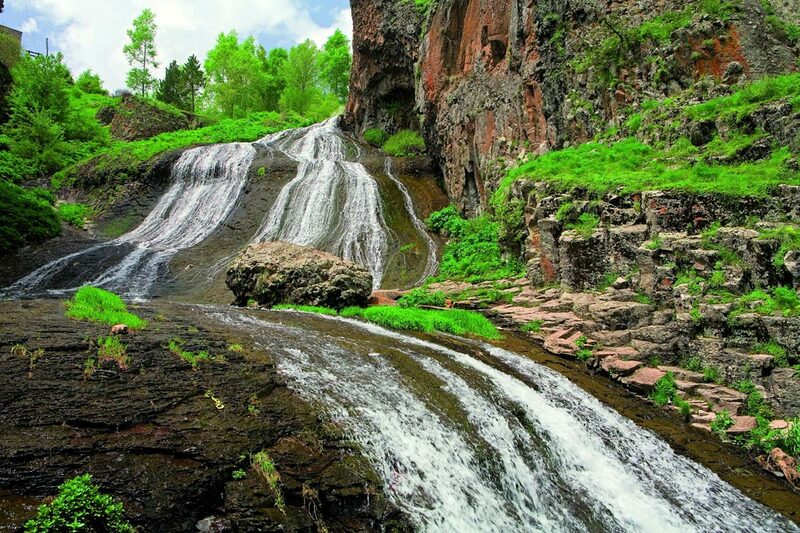 In Jermuk, a 70 meter waterfall descends over the Arpа gorge, which recalls the spilled hair. People call the waterfall “Hair of the Mermaid”. There is a legend according to which, for a long time, when the main means of livelihood was hunting, an experienced hunter shot a young deer. The wounded deer started running with great effort. The hunter chased after him. Barely moving their legs, the deer reaches the mineral springs of Jermuk, and rushes into the water … What a miracle, comes out and immediately disappears completely healthy. An experienced hunter looks at the miracle of water, and from that moment the waters of “Jermuk” gained world fame, and the deer becomes the favorite of the people and the symbol of Jermuk.